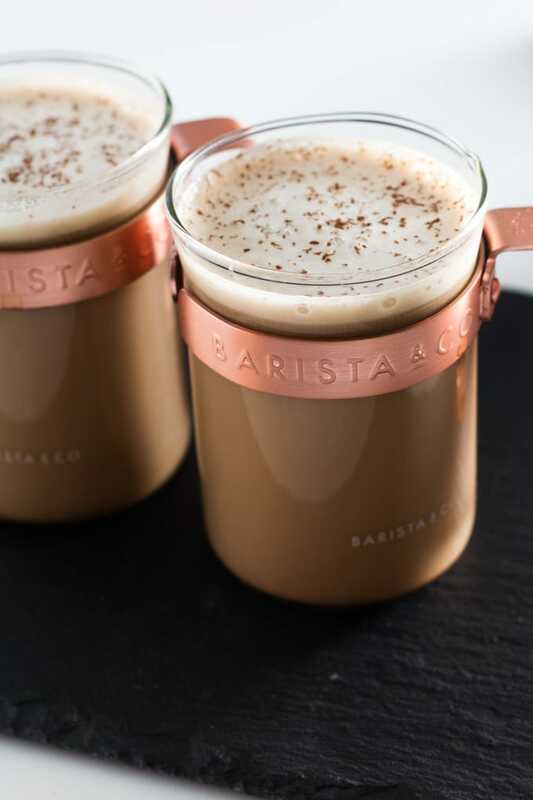 Get in the festive spirit with a peppermint mocha latte! Make it even better with a little added Irish Cream. If you aren’t feeling the holidays then you must try this drink…I dare you not to break out the holiday tunes. I’m always amazed by how much a seasonal drink can put me in the right frame of my mind. One sip of a creme brulee latte or peppermint hot chocolate and suddenly I’m putting up decorations, wrapping presents and baking and my husband is looking at me like I lost my mind. One of my favourite things last year was this peppermint mocha coffee made with coffee, cocoa and crushed candy canes. If you are just looking for a good seasonal blend this might be the one for you but if you are looking to kick it up a notch this is also the perfect coffee to start with. And why wouldn’t you want to kick it up a notch? ‘Tis the Season. 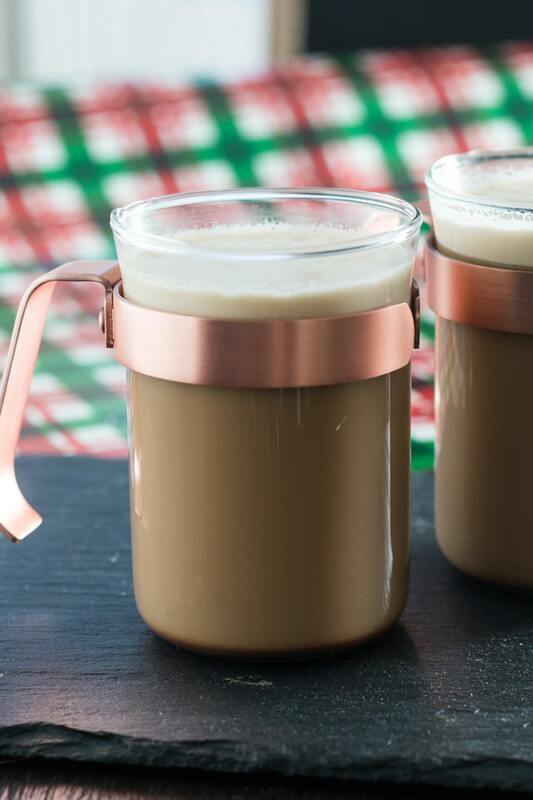 My favourite go-to coffee addition is Irish Cream but don’t go the boring route and simply pour it into your coffee. It is time to heat it and froth it up. You won’t be disappointed and you don’t need a fancy frothing device to make it happen. If you have a Vitamix then just add milk + Irish Cream to the blender jar and use the heat setting. When it is done you can pour into your coffee and spoon a little extra froth on top. Then a nice light dusting of cocoa is the perfect touch. Don’t you love these mugs? I bought them at Indigo (no longer available) but can find the silver version online. (This is not an affiliate link but these were my fave black friday purchase). 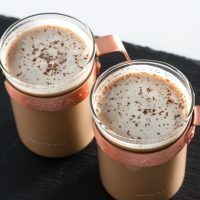 I love, love, love this simple, delicious peppermint mocha latte with Irish Cream and wish I could enjoy it every morning. If I could order one of these babies at the Starbucks in my office my day would be perfect. What is your favourite seasonal beverage? 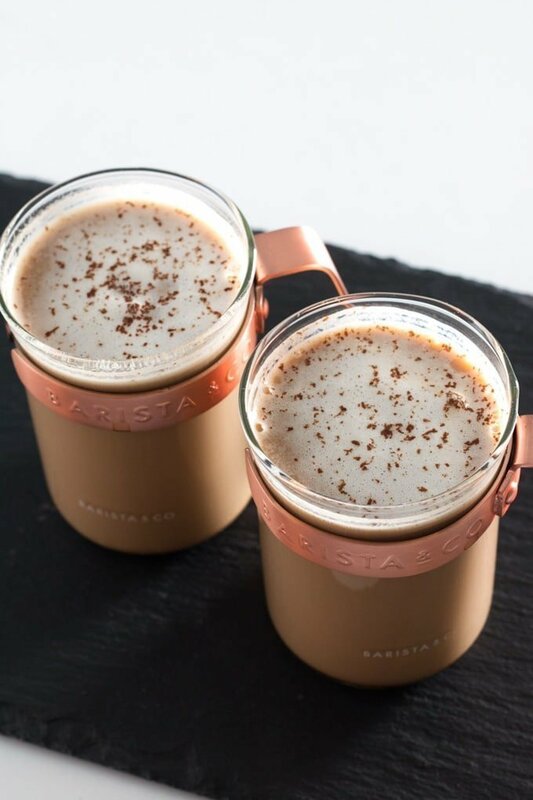 A yummy, warming winter beverage with a hint of pepperment and chocolate topped with Irish Cream froth. Brew coffee per directions and pour into two mugs. Add milk and Irish Cream to blender jar and heat/froth using the "soup" or "hot" setting. Once blender cycle finishes, pour slowly into the two mugs using a spoon to keep the heavy foam from pouring. Gently spoon the heavy foam onto the top of each mug. Sprinkle with cocoa and serve. 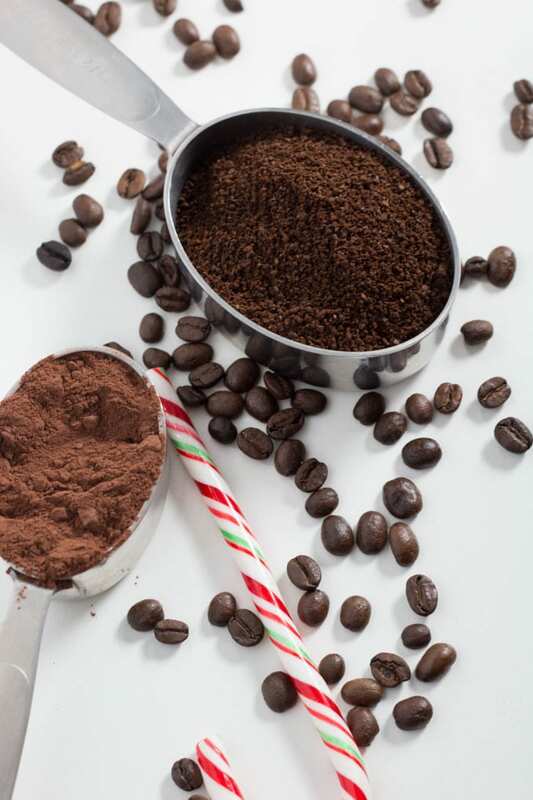 Lattes typically use espresso so feel free to swap but highly recommend adding a touch of cocoa and peppermint to your espresso.